Channel 4 has appointed Ian Katz, currently editor of the BBC's Newsnight, as the permanent replacement for Jay Hunt, who left the broadcaster last month. Katz joins in January, and will take over from Ralph Lee, who became interim chief creative officer upon Hunt’s departure. 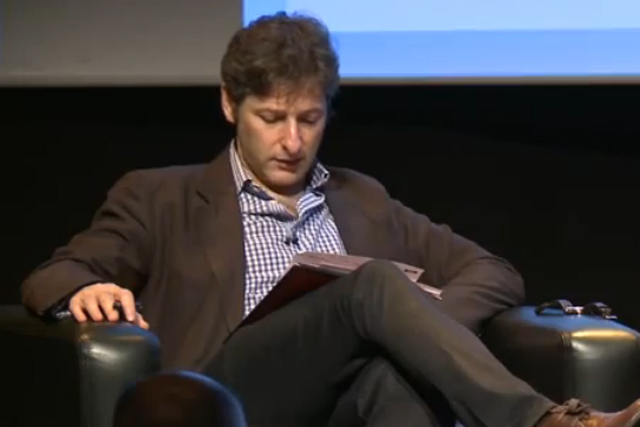 Katz joined Newsnight in 2013 from The Guardian, where he was deputy editor, alongside Katherine Viner – now the paper’s editor-in-chief. He spent 23 years at The Guardian, serving in roles including head of news and editor of the G2 supplement. Channel 4’s chief executive Alex Mahon said: "Ian is an inspirational leader who assiduously builds and nurtures talented and empowered teams. He has fantastic instincts and intelligence, huge editorial strength and is a proven creative and digital innovator, who lives and breathes the Channel 4 values." Katz added: "I’m impossibly excited to be joining a broadcaster whose unique combination of innovation, risk-taking and elan I have admired for decades as a viewer - and more recently as a frequently envious rival. "Channel 4’s deeply held values and relentlessly challenging sensibility have never been more important or relevant and I feel incredibly privileged to play a part in shaping the next stage of its remarkable journey." Hunt, who had been tipped by some to succeed David Abraham as Channel 4's chief executive, announced in June she would be leaving the broadcaster alongside Abraham. Last week, she was appointed by Apple to head creative at its worldwide video operations.